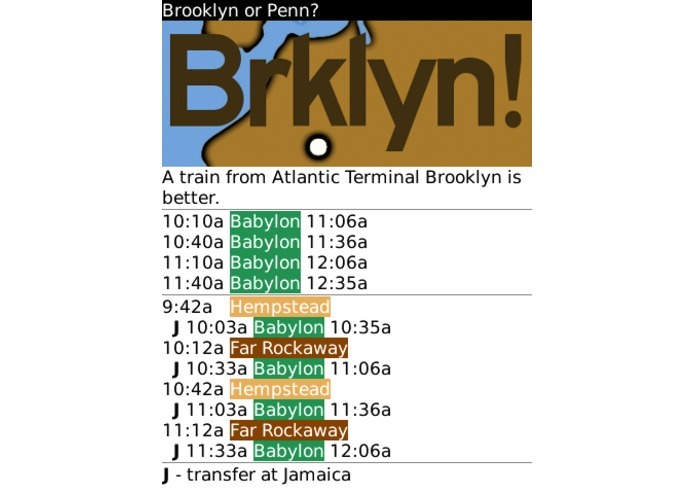 A train from Atlantic Terminal Brooklyn could get you home faster--this app can help you decide if it's right for you. Great if you work in lower Manhattan! 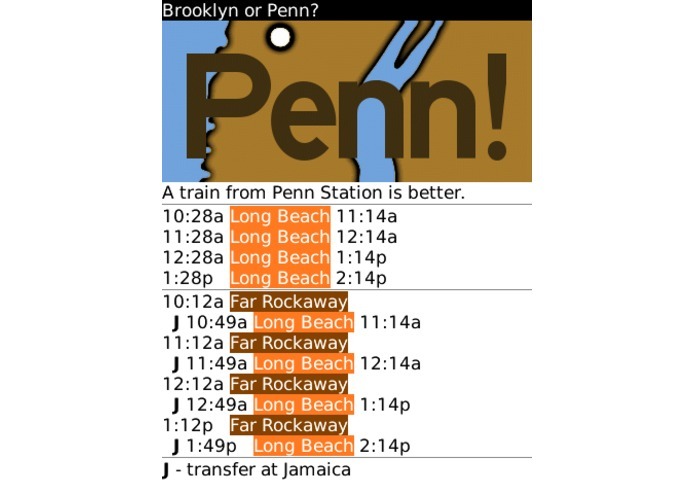 Simply run it right before you're about to go home--and it'll quickly tell you if you should go to Penn Station or catch a train from Atlantic Terminal instead. 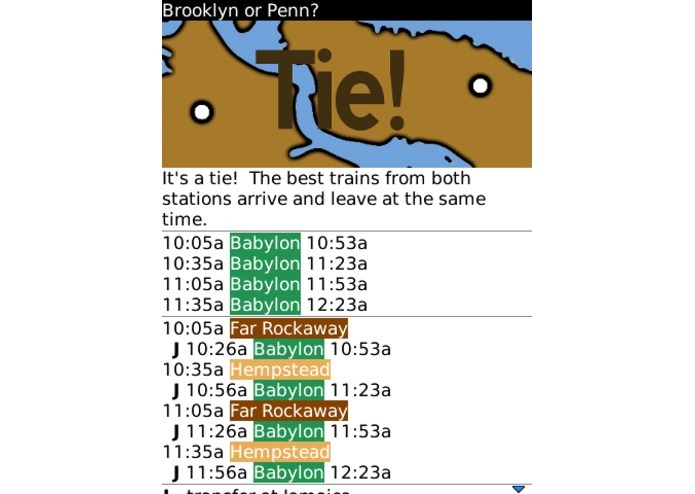 This app allows me to get in the elevator at work, and, by the time I get down to the lobby, I'll know the best way to go--without having to look up both options and think about it.